My cousin Jim and his high school sweetheart Jenny are tying the knot this September. It was our families’ honor to throw Jenny a shower. 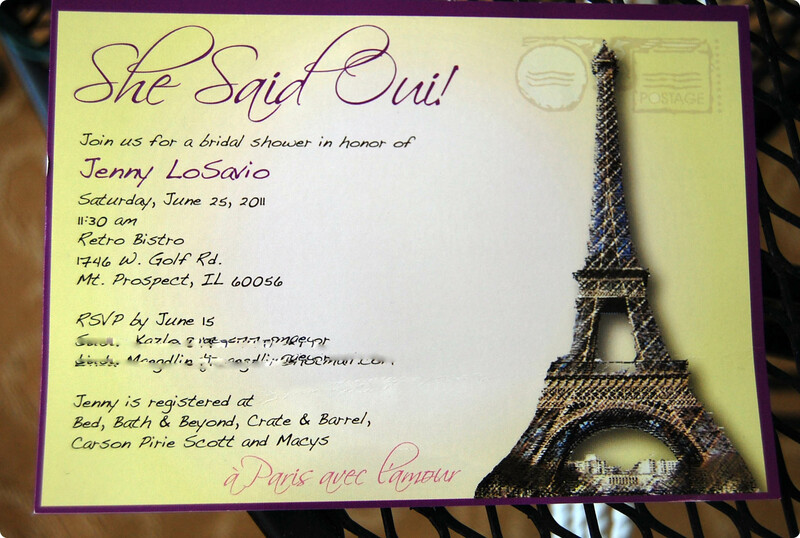 Jim proposed in front of the Eiffel Tower in Paris, so a French-themed bridal shower was a no brainer. 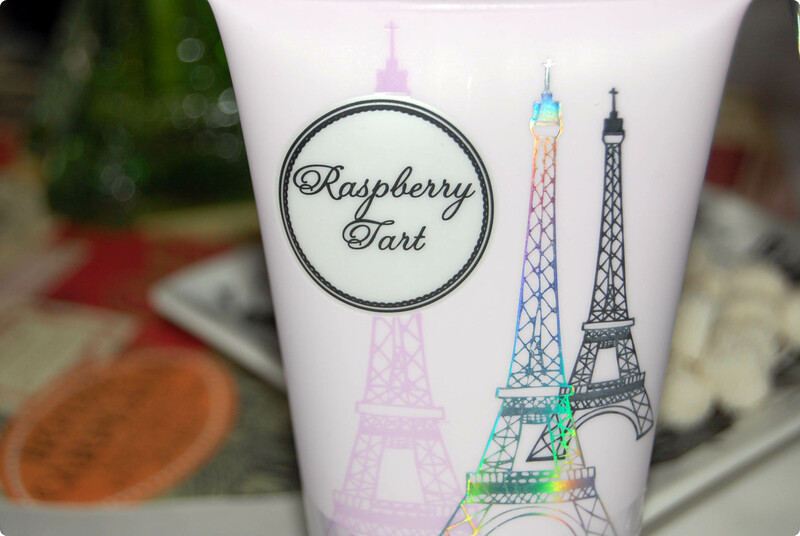 Held at Retro Bistro, a wonderful French restaurant in Mt. 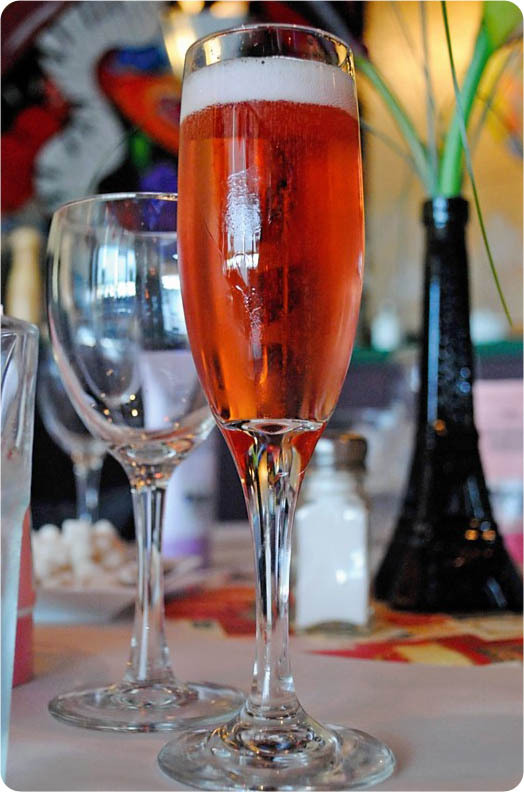 Prospect, IL, we sipped on Kir Royales (champagne and Chambord) and dined on delicious French cuisine. 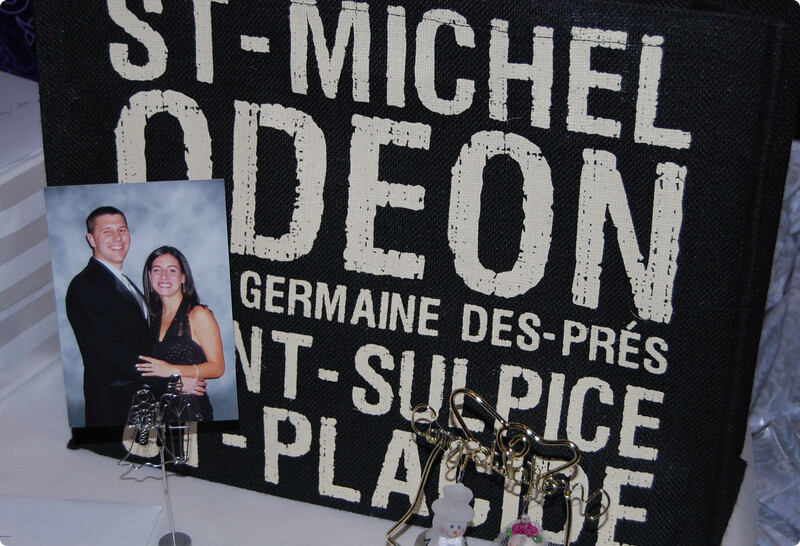 French-themed items along with pictures of the couple were placed on the gift table as guests walked in. 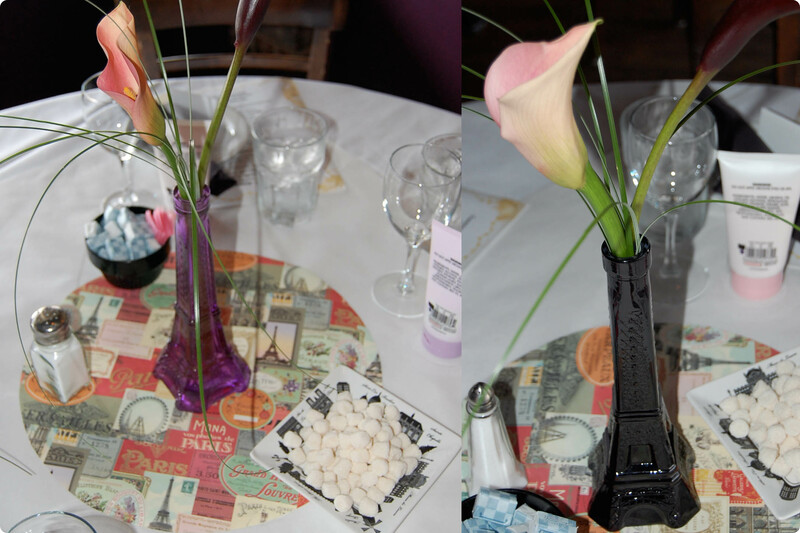 Slender Eiffel Tower vases in purple, black and green with simple callalilies adorned the table, atop Parisian paper and alongside dishes of Champagne flavored candies. 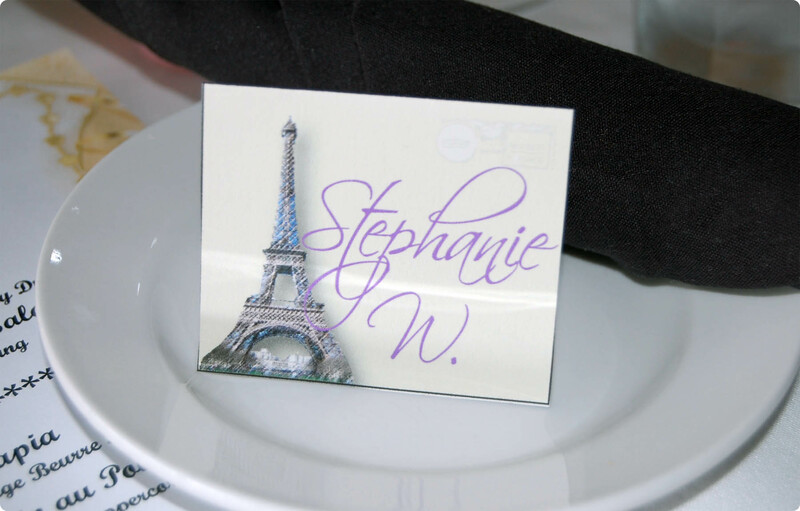 Guests were given a variety of scents of Eiffel Tower bottles of lotion, placed at each place setting at the table, along with a name card to match the invitation. 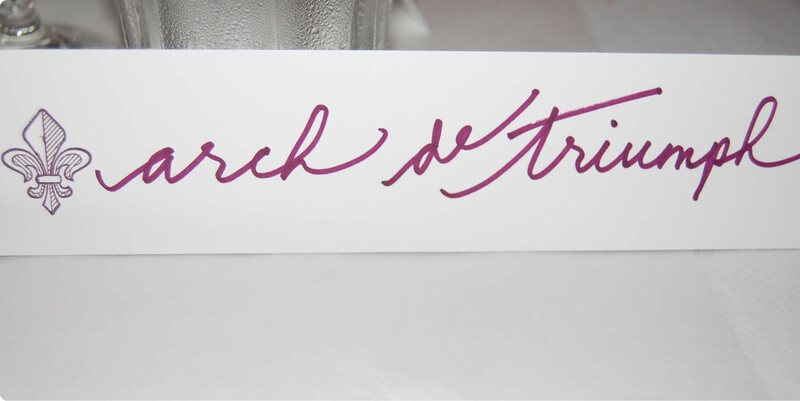 Each guest was asked to choose a card out of a pile once seated for lunch. Written on each card were different French terms, phrases and places. Throughout the course of the shower, the hosts would pick a card from the box and read it aloud. 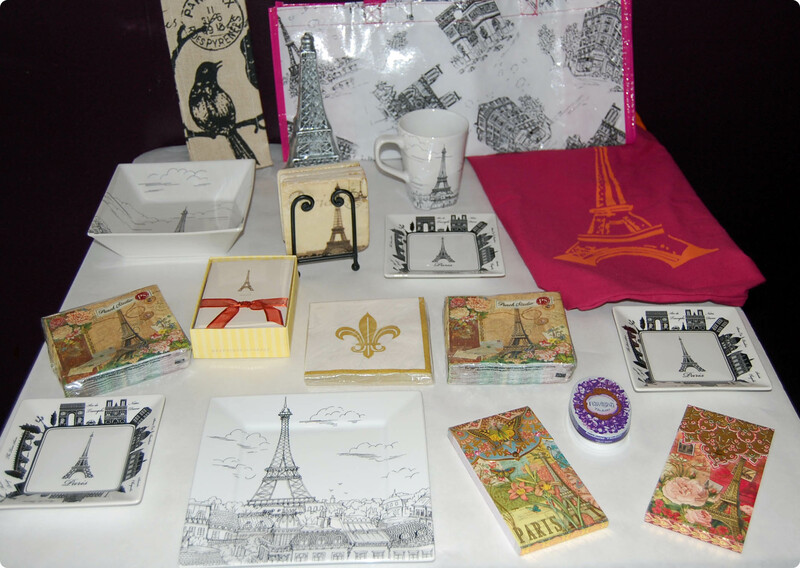 If your card was read, you were able to choose a Parisian prize. 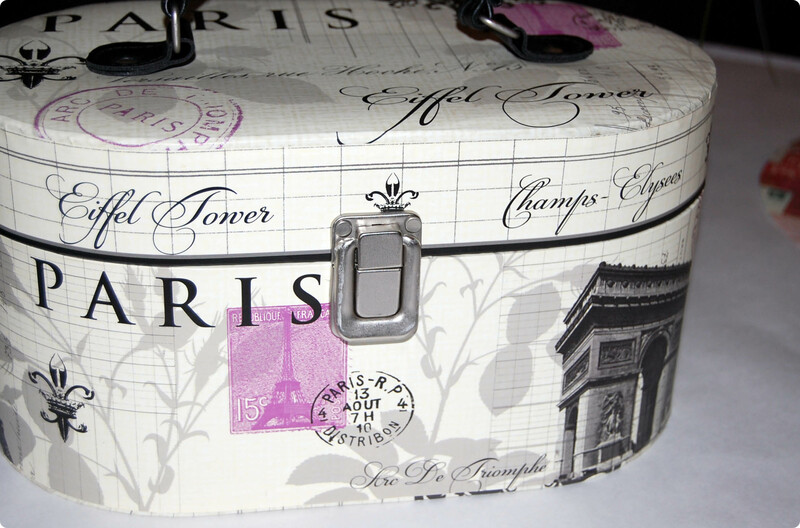 If I do say so myself, this shower was magnifique! An early congrats to Jim and Jenny, we look forward to the big wedding celebration this fall!